Focus on earning legendary amounts of XP to level up fast in Assassin's Creed Odyssey. Almost all games have some type of leveling system designed to keep players engaged for as long as possible. Often, activities and in-game loot can be locked behind level gates, forcing players to seek out ways to rank up fast and get to the end-game content. 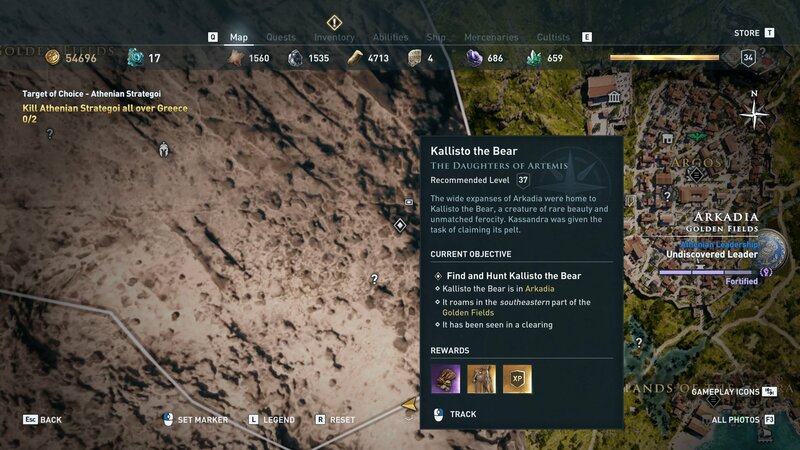 This is true for Assassin’s Creed Odyssey, where some of the most intriguing quests and rewards aren’t available until getting close to or reaching level 50. Luckily, there are some specific ways that gamers can level up fast and minimize time wasted. 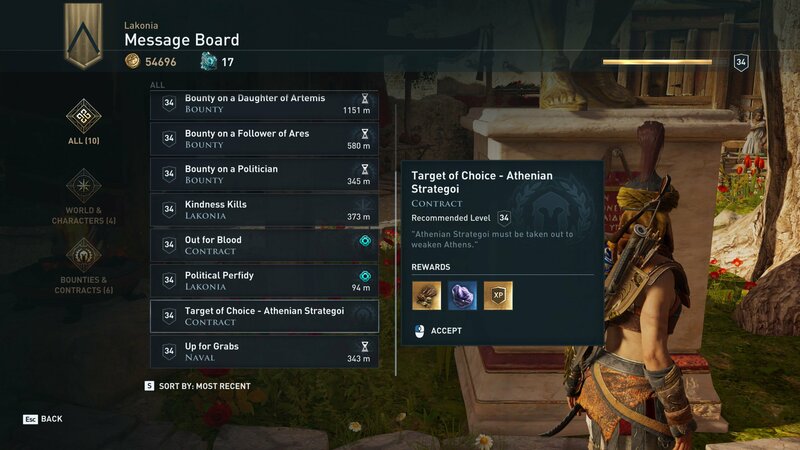 In Assassin’s Creed Odyssey, gold is the color that represents anything tagged as legendary, be it armor, weapons, or the amount of XP or Drachmae you earn. Often, the rewards available for an activity are listed when hovering the cursor over it. If there is a gold XP symbol listed as a reward, you can bet that you’ll likely get a healthy sum of XP for completing that task. If the XP reward is shown in purple, you’ll get somewhat less, and if it’s shown in blue you’ll get an even smaller amount of XP. If you want to level up quickly, be sure to target activities that will pay out legendary amounts of XP for completion, with an obvious focus on tasks that won’t take too long. Certain activities tend to payout at higher rates than others, and by focusing on those when near or at their recommended level, huge amounts of XP can be earned. Take the Arena as an example. I took on a level 36 opponent when I was only level 34. It took under 10 minutes to defeat them and I scored 38,000 XP for my efforts. Another time, I killed a level 50 Sage to complete The Silver Vein quest while I was level 33 (bow and arrow cheese), earning over 43,000 XP. Another activity that can deliver high amounts of XP is a Conquest Battle, but don’t ignore side quests since they scale with you and often provide good XP for a short amount of time. If your goal is to level quickly, don’t spend long periods of time clearing a fort you stumbled upon for no reason. Sure, you might get 10K XP for clearing that fort, but the best XP rewards are found in quests, be it the Arena, story quests, or side quests. If you want to reach level 50 in short order, make sure you’re always on a quest and making good use of your time. 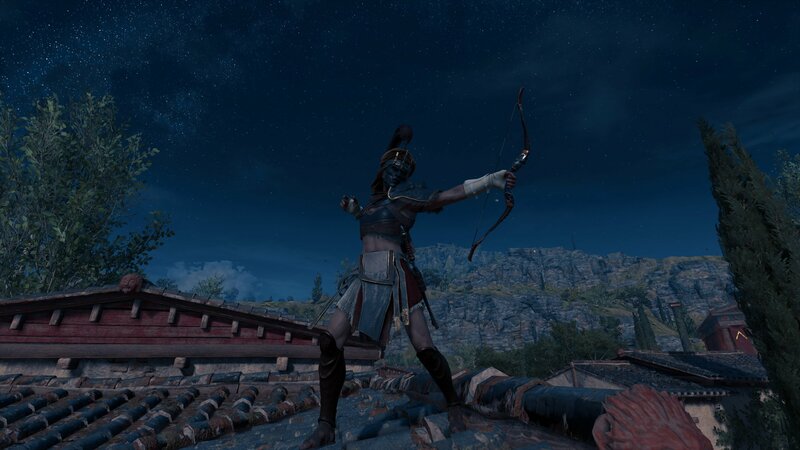 Once you reach level 50 and have created the finest build of any assassin in Ancient Greece, go do all the exploring and random fort clearing you want. Until then, though, random exploration (although wonderful), doesn’t do much to help you level up quickly. My suggestion is always to do things the organic way. You spent money on the game, so there’s no need to spend money to complete it faster. However, those that have cash to burn and don’t mind can purchase a Permanent XP Boost from the Assassin’s Creed Odyssey in-game store. This will activate a 50 percent boost to all XP earned. That activity that rewards 50,000 XP now rewards 75,000 XP. However, Assassin’s Creed Odyssey is a huge game and there’s lots of ways to earn XP without spending money. 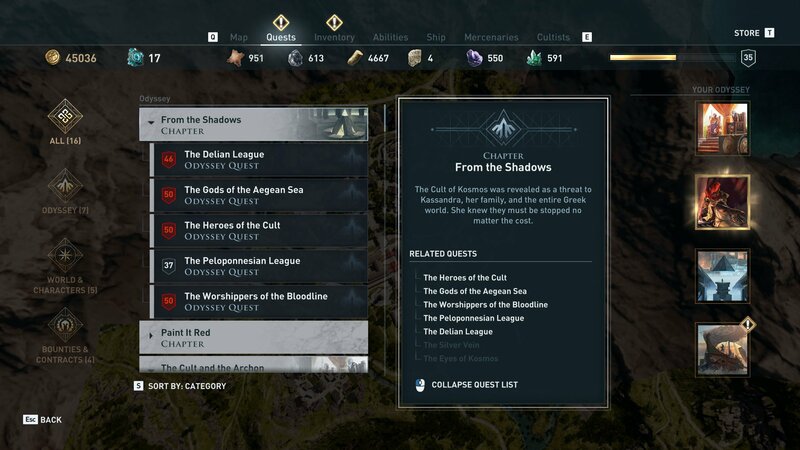 For more help with Ancient Greece and the epic journey players will go on, be sure to visit our Assassin’s Creed Odyssey walkthrough and guide.